There comes a time on every family outing when the little ones can go no further and demand to be carried the rest of the way. Luckily for these six fluffy cygnets, Mummy was happy to oblige. One by one, under her watchful eye, the brood clambered aboard her back for a ride. 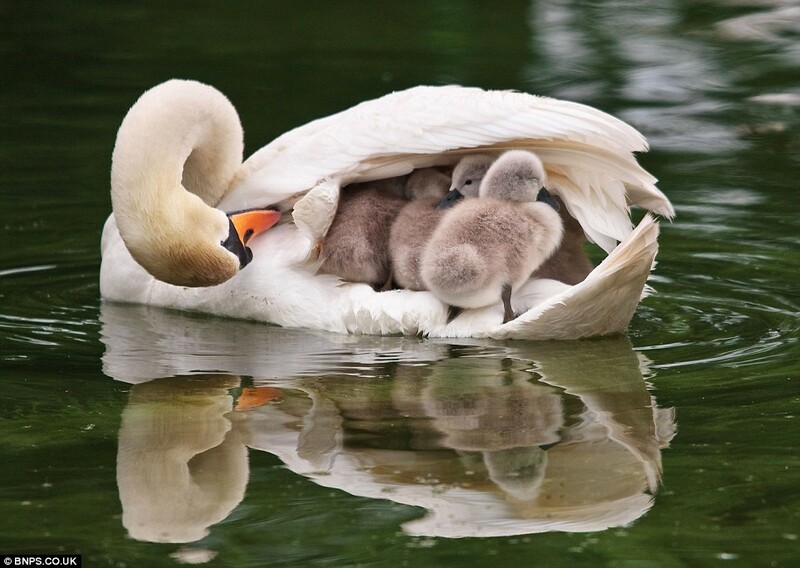 Having checked all were present and correct, the mother swan gently tucked back her wings to stop them falling off before gliding back to her nest. 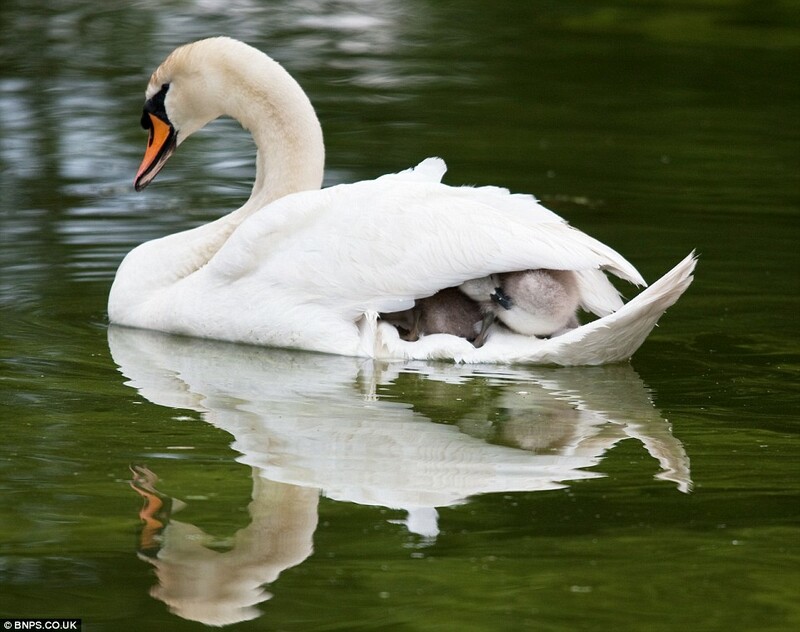 The mute swan and her fluffy cargo were caught on camera by Richard Meston on a visit to Bicton Park Botanical Gardens near Sidmouth, Devon. The father of three from Bournemouth added: ‘After they got settled in, she covered them with her wings protectively like a cushion and went on her way.